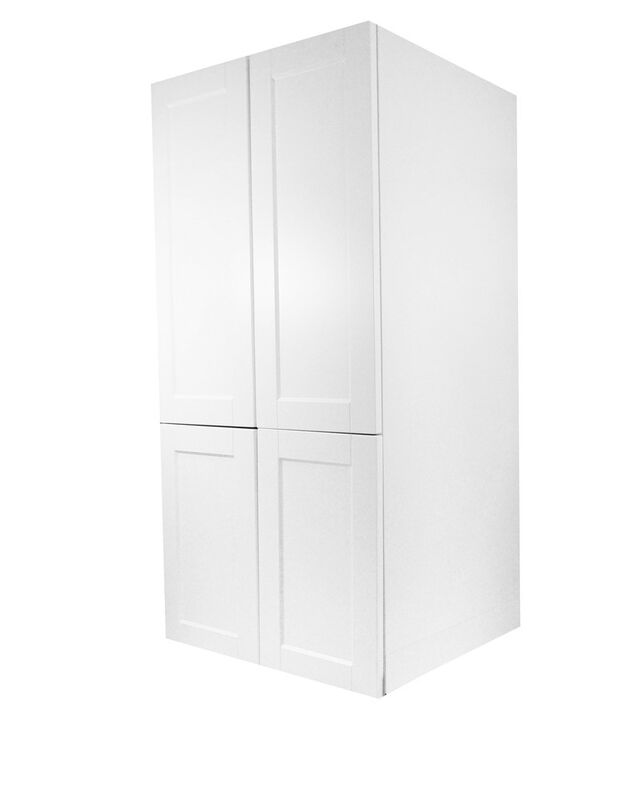 Sold by: Euro-Rite Cabinets Ltd.
24" pantry top comes with soft close doors and is the ideal multi functional pantry. This unit can be combined with a 18" full height base for the classic pantry look or with an 18" door, drawer base or a bank of 3 drawers for maximum efficiency of space. Made from 5/8" furniture grade color matched exterior melamine sides. this cabinets comes with 3 adjustable shelves. Height: 50" Length: 23 5/8" Width: 24"